Sweet baby corn! 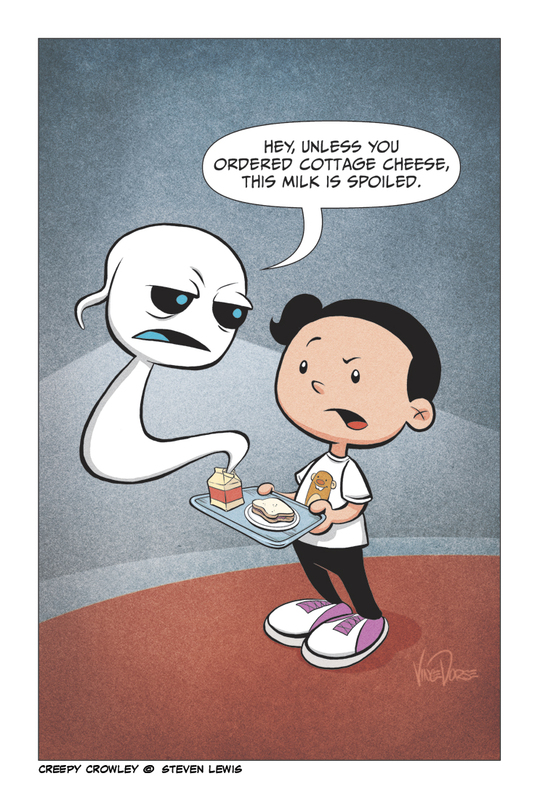 We’ve got some cool new fan art from Vince Dorse, the creator of Untold Tales of Bigfoot! It’s the story of a dog named Scout trying to find his family with the help of a Bigfoot, who simply wants a friend. 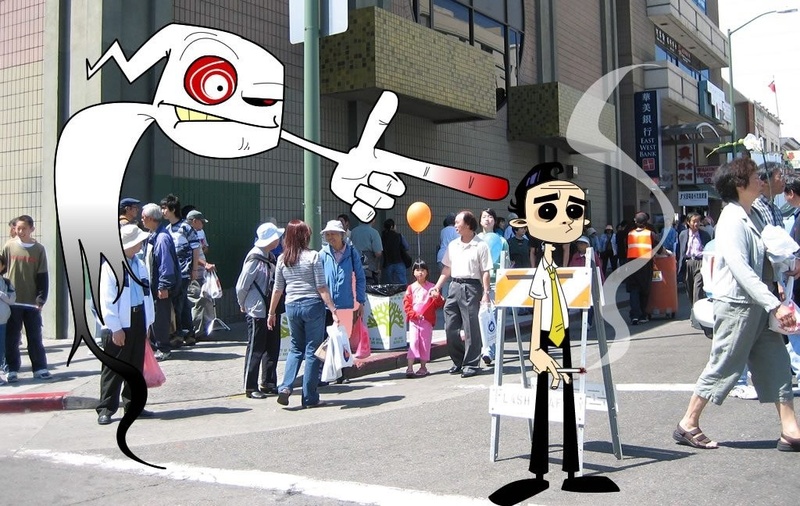 It’s a great all-ages comic that just happened to win the 2012 Reuben Award for Best Online Comic (Long Form). How cool is that? Check it out every Wednesday for a new update! Vince gives us this fun shot of Hector and Zeke! But that’s not all! Take a look this Untold Tales of Bigfoot fan art I did for Vince by clicking here or on the thumbnail below. While you’re there, catch up on all the adventures of Scout and Bigfoot! 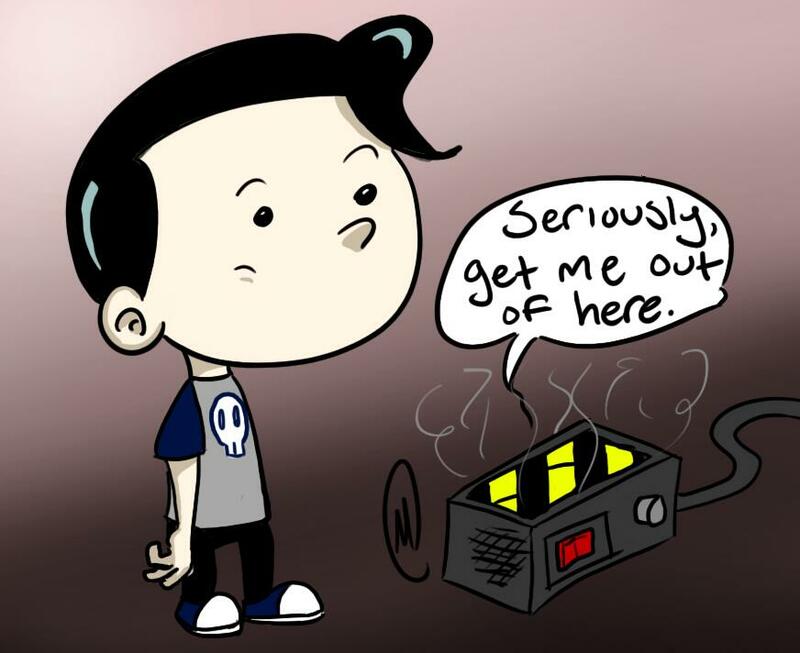 For fellow artists, Vince often shows his comic-making process, so you might pick up some tips. Vince is a skilled illustrator and super nice guy! 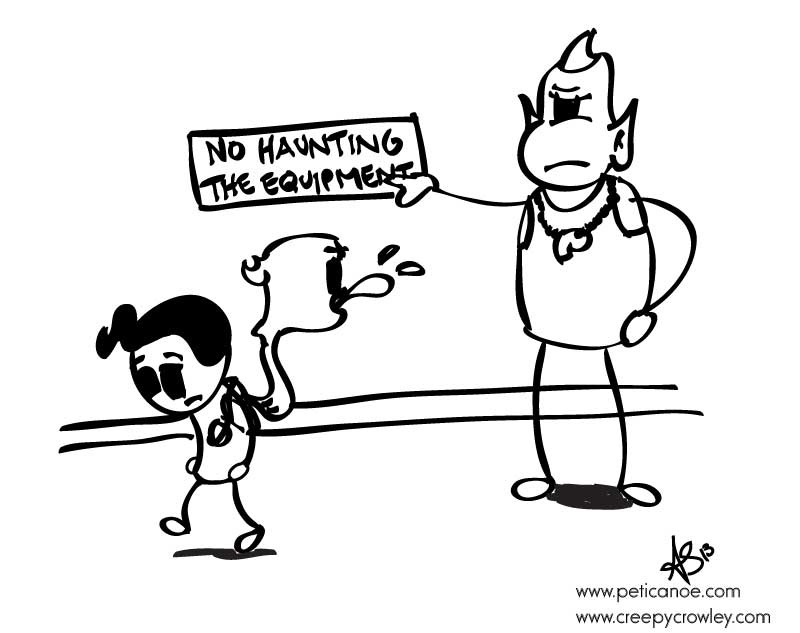 This one comes from Christopher Martinez, who knows I’ll always appreciate a Ghostbusters gag. 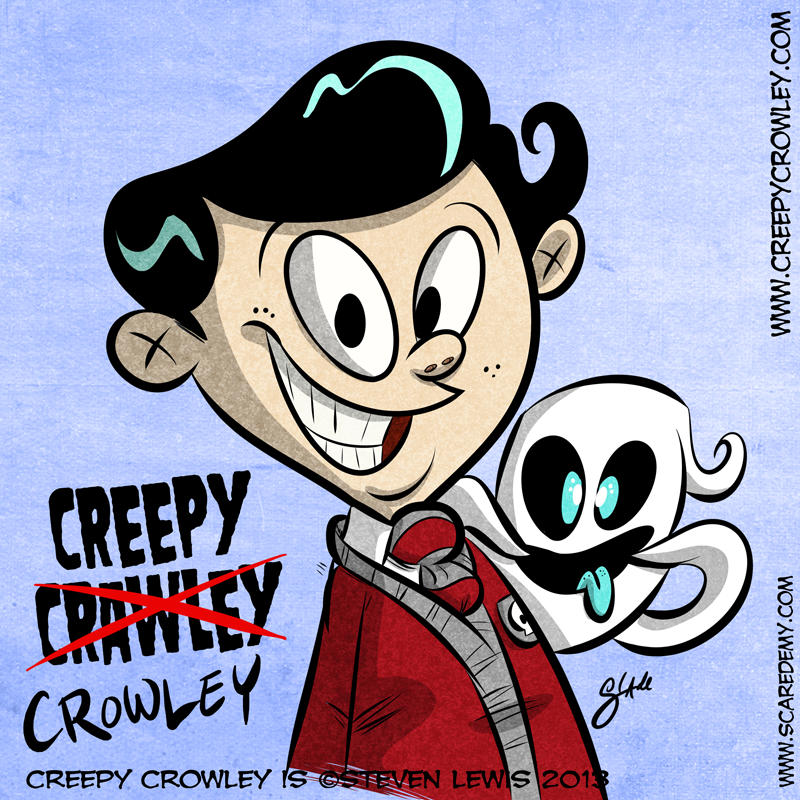 If you’d like to submit fan art, send it to crowleycomic (at) gmail (dot) com! 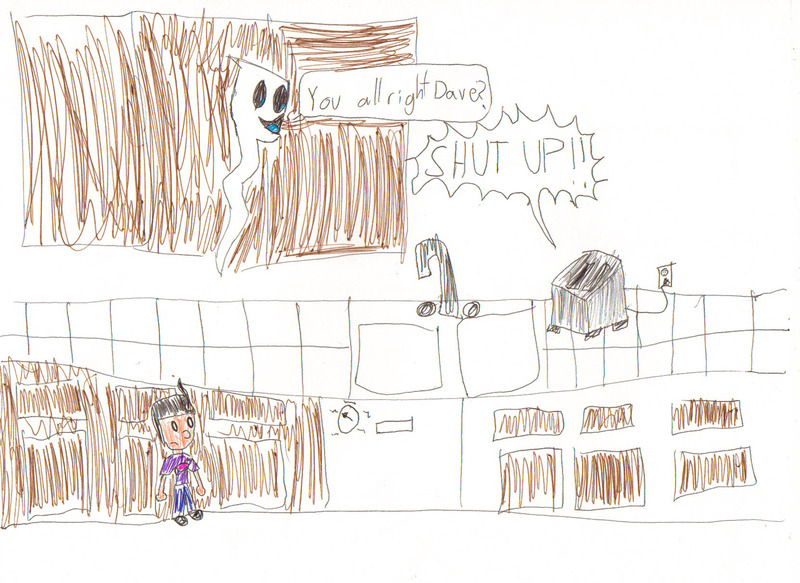 Michael (age 11) shows us Zeke chatting with Dave, and Hector making his way to class. Thanks, Michael! This is awesome! Click to look at the full-sized version! My friend Erik speculates on the future of Hector and Zeke! Friend-of-the-show Adam (peticanoe.com) sent in this one about the Dodgeball story!